It happens suddenly and unexpectedly…. You log in to your credit card or bank account to pay your bills, when all of a sudden you see a charge you don’t recognize. You’ve just been charged for a supplement you “thought” you were getting for free. In a lot of cases, our site gets mixed up with a lot of these scam free trials. You may google something like “jacked antler website” and come across our site in the search results. People will see our site, click on it, and then full out the contact form telling us they want their money back. People somehow still think we’re associated with them. I get about 2 dozen of these emails per week, and it’s beyond frustrating sometimes. I’ve decided to create this post to help eliminate (or at the very least, reduce) the amount of these emails I get. I’ve also decided to write it because, like you, I’ve been scammed by free trials in the past. I know what it feels like to have your hard earned money ripped out of your bank account and into the account of a scammer. Here’s what you need to do to cancel your supplement trial (and possibly get a refund). This can be accomplished in a number of ways. The first way is to check out free list of free trial cancellation phone numbers. We have customer service phone numbers for close to 100 supplement free trials and counting. This is not as easy as just googling the name of the supplement + phone number. Let’s take the male enhancement supplement Nitridex as an example. Look what happens when you google “nitridex phone number“. You have to google the name of the supplement and then the term website to get the closest possible match. Oftentimes you won’t actually get the ACTUAL website, but you’ll get an affiliate site that’s promoting it. Just click on one of the banners or links that say “Rush My Trial” and it will take you to their website 50% of the time. Sometimes this requires a little digging. 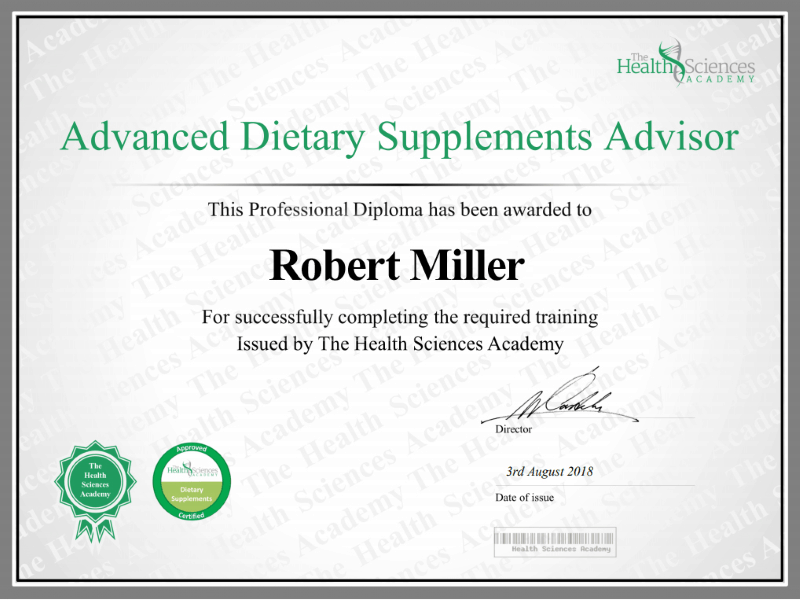 Start by going to the email you might have used and search for the name of the supplement. If that doesn’t work, search something like “Customer Support”, and look for an email that doesn’t look “normal”. Once you do that, open the email and look at the date you ordered the product. Now, go back to your credit card statement and look for your transactions on that date. Now, with Wells Fargo (my bank) you’ll see that they actually list the phone number in the transaction itself. At first glance it doesn’t exactly “look” like the phone number, but trust me, it is. If you’ve tried everything listed above and you STILL can’t find the phone number, call your bank. You can easily find this number on the back of your credit card. Note: If your bank isn’t listed here, click here for a full list of 1-800 numbers of all major banks. Hi There, my name is So and So. I was looking over my credit card statement and noticed a suspicious transaction on (insert whatever date the transaction occurred). Can you help? Not only will the bank operator be able to give you the actual number of the supplement in question, but they may even offer to put you through on a 3-way call. I’ve had this done in the past with a supplement company that was giving me the run around. So now that you have the phone number, it’s time to call them up and see what the deal is. It’s important that you try to remain as calm as possible. Shouting and / or cursing at them over the phone isn’t going to help your cause. I know you’re pissed off that you’ve been charged, but trust me on this. Calling and speaking to them in a pleasant, but firm, tone will give you the best odds at getting a refund. Tip #1:Tell them that you’re recording the phone conversation for your own records. If you want to REALLY record the phone call (which isn’t completely necessary), there are several apps that can help you. Even if you’re not recording the conversation, this will immediately put them on the hook. If they even THINK you’re recording the conversation, they’ll be less likely to try and up-sell you and / or try to get you to keep the product. It will make the call MUCH shorter, trust me. Tip #2: Immediately ask to speak to a manger. The first person you get on the phone is some low-level customer service rep that couldn’t give 2 shits that you’ve been charged. They’re provided with a script to try and get you to keep the supplement, and / or will just offer you a discount. Tell them that you would like to speak to their manager because you have a specific complaint that needs to be addressed. Tip #3:Tell them you spoke with your bank and they noted similar complaints from other customers. Once you get the manager on the phone, now it’s go-time. Just like with the customer service rep, you need to be calm, cool, and collected. Shouting at them will just put them on the defensive, and make them not want to honor any of your requests. Remind him or her that the conversation is being recorded for your own records. You’ll want to make it clear to them that you’ve spoken to your bank and they have noticed similar transactions coming from their company, and that they are involved in multiple disputes. Again, this may not necessarily be true, but it will plant the seed in the managers head that you’ve done your research and you mean business. Tell them that you had no idea you were going to be charged the full price for the supplement, and you would like a full refund. This is where the gloves may have to come off. Tell them that you will report their company to your states attorney generals office and the FTC. That last part is key because in 99% of the cases, this is true. The FTC requires that merchants make it CRYSTAL CLEAR how much they’ll be charging you, when they’ll be charging you, and how OFTEN they’ll be charging you. Slapping the terms and conditions at the bottom of the page in a very light grey font and making it nearly impossible to read isn’t considered “crystal clear”. By the way, this threat is 100% legit. If they don’t offer you a refund I REALLY would contact your state attorney generals office and the FTC. 90% of the time, just the mere threat of running to the FTC and States Attorney is enough for them to relent and give you a refund. Sometimes they will offer to just give you 50% of your money back, or extend your trial by another month. Tell them this charge was completely unexpected, the product did NOT work for you, and you want a full refund. They may still require you to send the unused product back (which is legal), but you won’t be on the hook for the $100’s you may have possibly been already charged. Click Here to find out what you should do if you have to send the product back. This is usually the first problem that you’ll encounter. Just tell them you’ll wait. If they put you on hold, give them 5 minutes. If 5 minutes passes and you’re still not on the phone with the manager, hang up and call back. In the case where they’re “unavailable” or “not here”, give them your phone number and tell them they expect a call by the end of the day. Tell them that if you don’t hear from them by the end of the day, you’ll be contacting the FTC and State Attorney General. Once you utter those words, 95% of the time the manager will mysteriously become available. Sometimes these companies are located in countries like Panama, Costa Rica, or El Salvador, where the words “FTC” don’t resonate. They don’t give 2 shits about the FTC, or any other government organization for that matter. Give them a second to respond, and if they shrug it off then you’ll proceed to the next step. In this scenario, you would simply call your bank or credit card company and explain the situation to them. If you have any questions on any of this, or need help with cancelling a specific supplement, I’m always here to help. Just contact me here and I’ll do what I can. In probably close to 70% of the supplement free trials I’ve ordered over the years, I’ve been required to send the remaining or unused portion back to the company I’ve ordered it from. They will make it explicitly clear when you call to cancel on whether or not you need to do this. You’ll receive what is called an RMA #, which is short for Return Merchandise Authorization. This is a series of digits that you WILL have to write on the outside of the package that your sending the supplement back in. Use FedEx, UPS, or USPS. The smaller delivery couriers can be notoriously slow to deliver and / or may get lost in transit. WRITE THE RMA # on the outside of the box, preferably in more than one spot. GET DELIVERY CONFIRMATION AND TRACKING added to your order. This last step ensures that the supplement company can’t pull a fast one and say they never received the package, and therefore, won’t give you a refund. You can toss it in the trash, give it to a friend, take the rest of it, or use the bottle as a stand for your desktop camera like I do. If you followed all the steps above, there’s a 9o% chance that you’ll get your money back. Contacting your bank is still your best bet if you want to get your money back, but the BBB can help lessen the financial pain by giving you peace of mind that you are helping to protect others from falling in to the same trap. We have reviews of 1,000’s of products, and many of them are free trials. Use the search function below and look for the company that charged you. Once you get to the page, scroll down to the bottom or click “Comments” to leave your experience. This is usually only reserved for cases where you may have been charged $1,000’s for a supplement. It’s extremely rare, but it DOES happen. Keep in mind that contacting a lawyer can be a VERY expensive and time consuming process, and should only be reserved for the worst of the worst cases. Like the old saying goes…. That certainly rings true when it comes to free trials. If you REALLY want to get your money back, follow the steps above and leave a comment below to let us know how it went! In Short: I would NOT recommend this to a friend. Primal Surge XL (833.274.6486) is NOT working as professed. Another victim... Also, this product is NOT the same as Primal XL. The hook is the "free" sample and you pay shipping of $4.99. You have ten (10) days to review product and/or cancel. If you don't cancel, then are charged $95.79 for the "subscription"! What a SAP... This is exorbitant for what you get, and it didn't work for me.